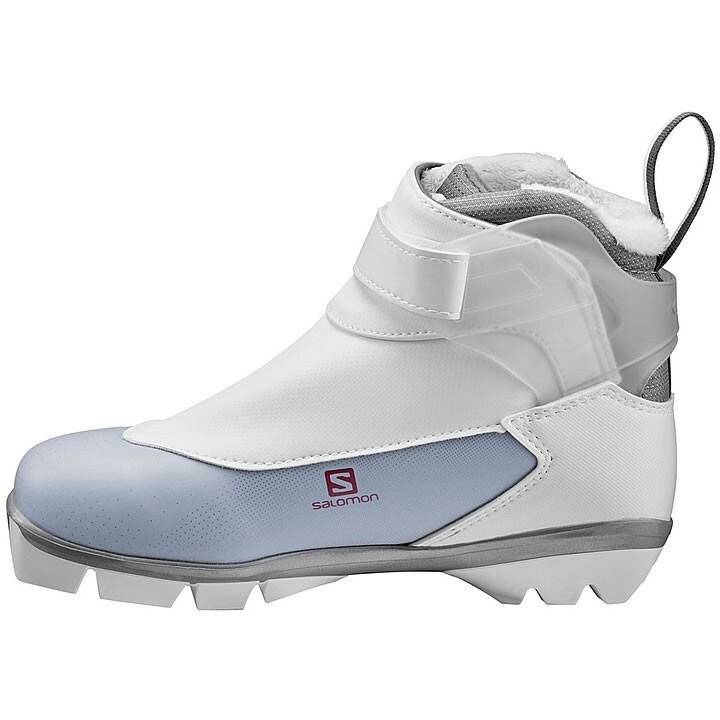 The Salomon SIAM 7 Pilot CF is a confidence building touring boot for women with a supportive cuff, the control of Pilot system and all-day comfort provided by Salomon's Custom Fit system combined with Thinsulate's warmth and easy adjusting from Quicklace. 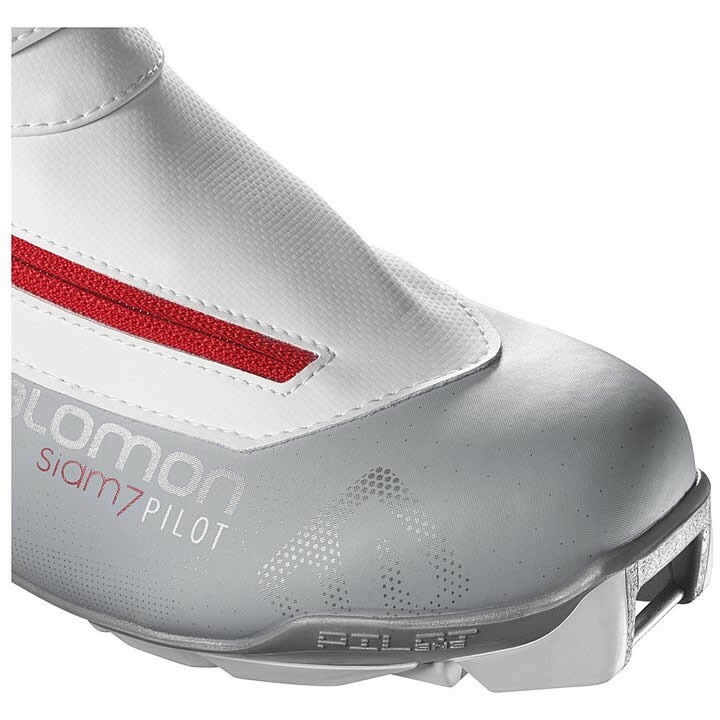 SNS Pilot® 2 Touring: Stable, comfortable and convenient PILOT outsole. Bi-material thermo plastic rubber sole designed for the Sport and Touring categories. Touring Flex: Specific flex for touring skiers, with a natural forefoot rolling. 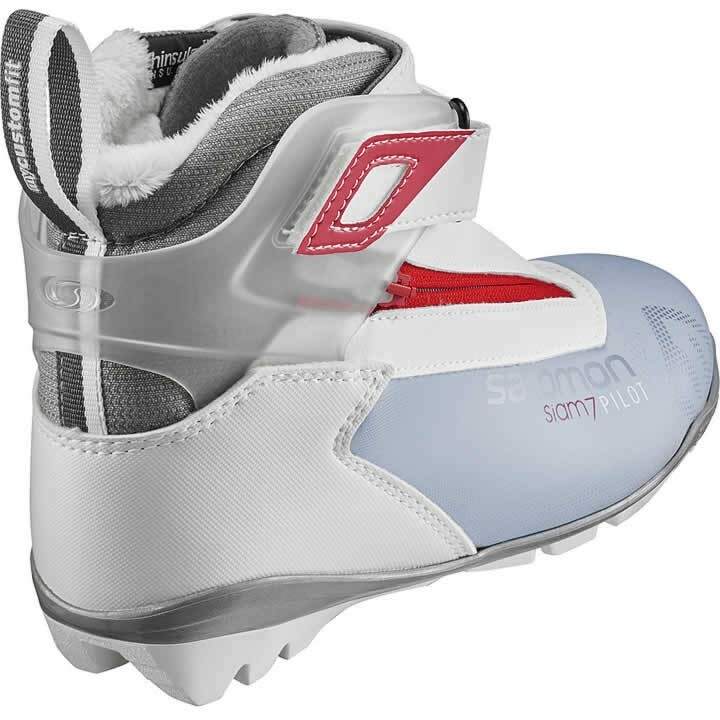 Salomon Touring Women Fit: Generous anatomical shape for maximum comfort and warmth. Specifically adapted to women's morphology thanks to a narrower heel and instep volume. Memo Strap: Adjustable strap that fits anyone's morphology. Ergonomic Touring Cuff: Semi-rigid cuff around the ankles that provides lateral and rear support for better stability and control. Lace Cover with Diagonal Zip: Salomon's specific user-friendly protection against snow and water. Internal Thermo Formed Heel Counter: Internal thermo-formed reinforcement for more stability and comfort. Custom Fit: Combination of comfort foam, thermo moldable foam and lycra which provides the ultimate fit and comfort to every foot morphology. Sanitized: The Sanitized treatment offers a bacteria prevention and fulfill an anti odor function. I just want t make sure that this is the 2 pin SNS system. Thank you for your inquiry. 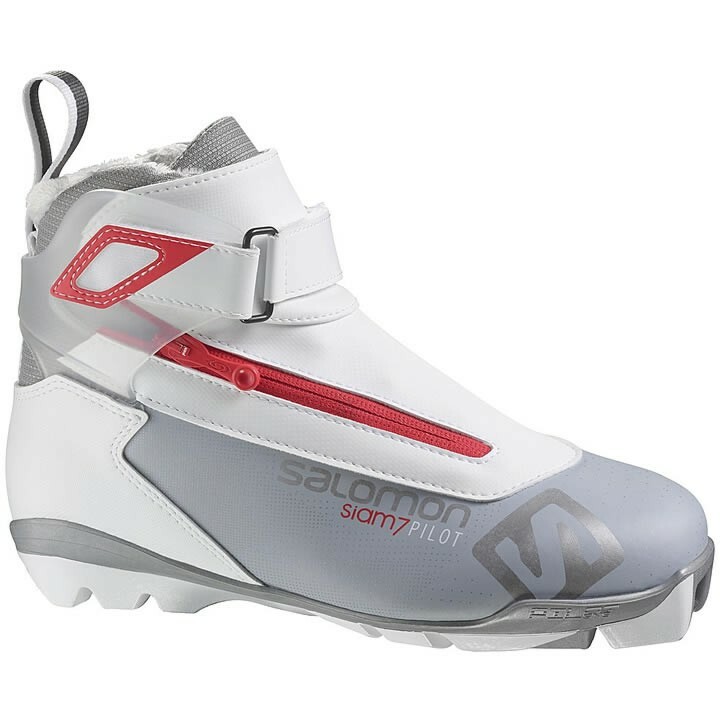 Yes, the Salomon Siam 7 Pilot CF Touring boots do use the 2 pin SNS system. If you would like more information on the compatibility of these boots please feel free to call the store and ask for our Nordic experts. They will be able to answer any further questions you may have. The number here is (802)-658-3313.